Jin H. Liu is a partner at Yoon LLP who handles all corporate matters. She has many years of experience working on diverse corporate transactions, including mergers and acquisitions, equity offerings, securities and general corporate work, public finance and tax-exempt bond financing. She also advises companies on corporate governance issues. 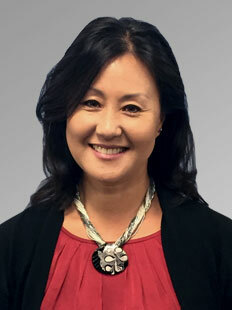 Ms. Liu was a corporate associate at the law firm of Ballard Spahr Andrews & Ingersoll LLP, Philadelphia, PA. Prior to that, she was an associate in the Corporate Department at LeBoeuf, Lamb, Leiby & MacRae, New York, New York. Ms. Liu received her B.A. from University of California at Berkeley. She received her J.D. from New York University School of Law in 1988. She is admitted to practice in New York, New Jersey and Pennsylvania. Ms. Liu is fluent in Korean.